Red and white Christmas roses are some of the most rewarding gifts to receive during the holiday season. Their ability to bloom during the darkest months of the year makes them a valuable asset for any home or office party come December. So whether they’re being given as a present for Christmas, a centerpiece, or as a gift to the host of a holiday party you will be attending, you can never go wrong with red and white holiday roses from Avas Flowers. 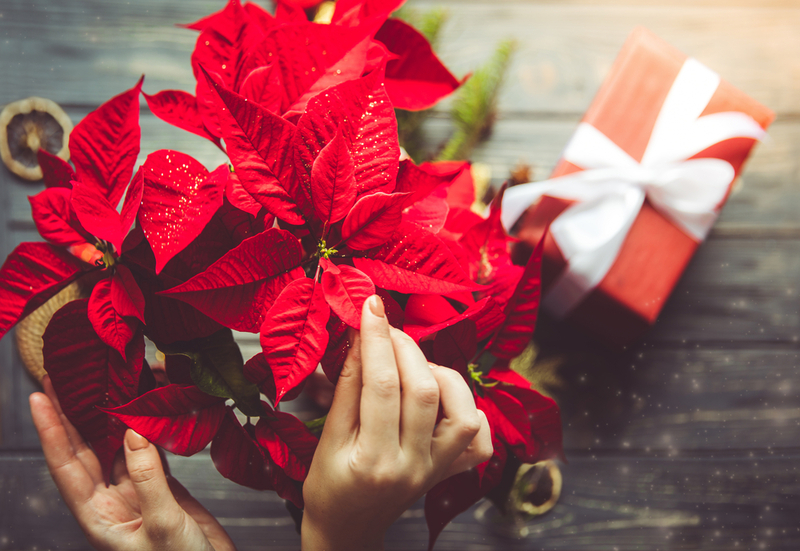 Festive holiday flowers brighten any home, apartment, or office cubicle and can bring an elegant feel to any room with a relaxing scent of fresh flowers that is sure to remind you of Christmas. When you want to send Christmas flowers to family members and friends for an affordable price, we have you covered with this Avas Flowers coupon. Red and white roses are some of the most festive flowers ordered during the holiday season. And with good reason too, as fresh cut premium roses in traditional Christmas colors always make the perfect holiday gift. Looking for more ways to save money on flower delivery? We makes flower delivery easier than it ever was before by now allowing our customers to track deliveries, manage an online address book, receive points that can be used to redeem Avas Flowers products such as bouquets, and many other new and exciting features never seen before. Create an Avas Flowers account today and start saving big on your floral purchases immediately! Customers with an Avas Flowers account will have access to exclusive offers and can take advantage of rewards points on every dollar that they spend for all of their purchases. Every dollar customers spend will be equal to one hundred points. Customers will get double the points during special sales and events. Customers will receive a $10 savings pass for every 20,000 points that they collect. Customers can also save recipients, occasions, card messages, and more. Click the following link to sign up for an account and start saving right now! For more great deals and exclusive ways to save on future Avas Flowers products and plants ‘Like’ us on Facebook to reveal additional coupon codes that will be able to be used on your next purchase of any Avas Flowers floral arrangement! Gift giving has never been easier or rewarding!